SCOUT An ideal entry level BC that is lightweight and low cost The Scout offers exceptional value in a lightweight system. It has a low profile single bladder with an elastic retractor, and an elastic waist closure. The Scout is our lightest and most compact BC, and is ideal for a basic travel system with minimum weight and bulk. 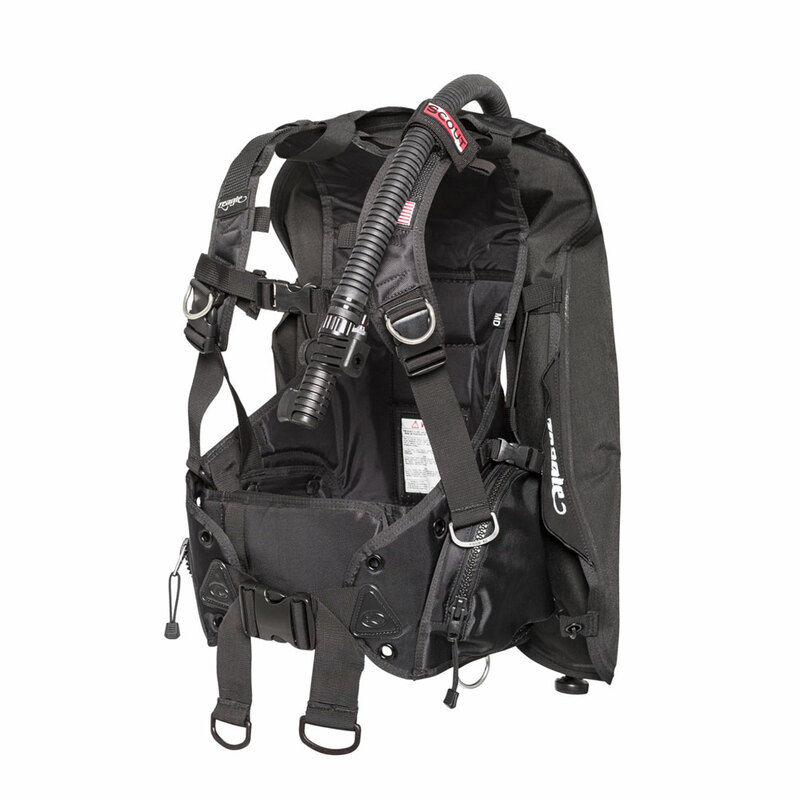 The weight system consists of two rear mounted pockets with a touch fastener release and a 16lb maximum total weight capacity.